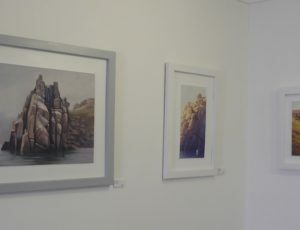 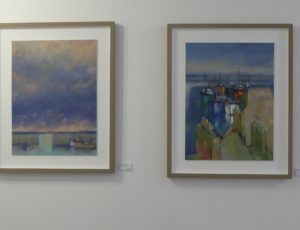 Private View: Friday 18th May 18:30 -20:30 All welcome to attend! 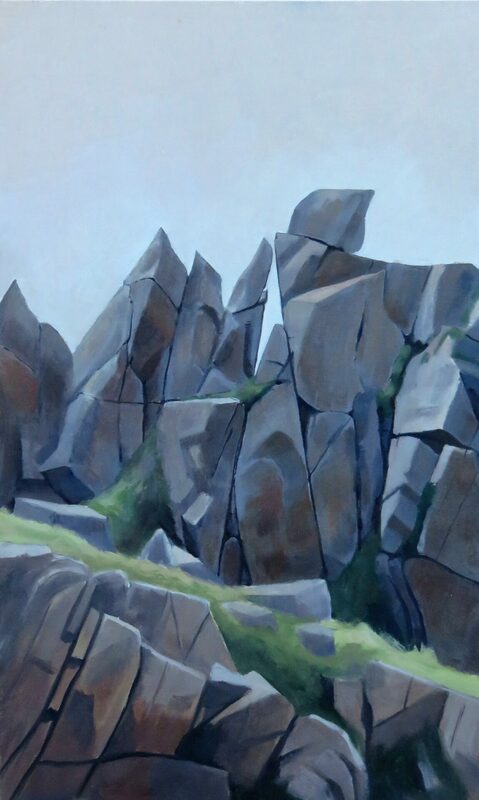 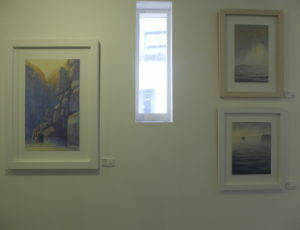 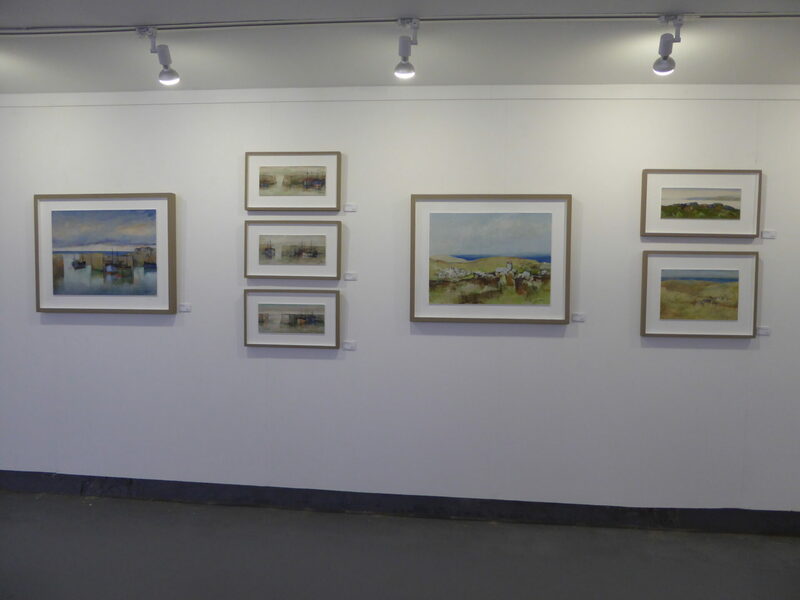 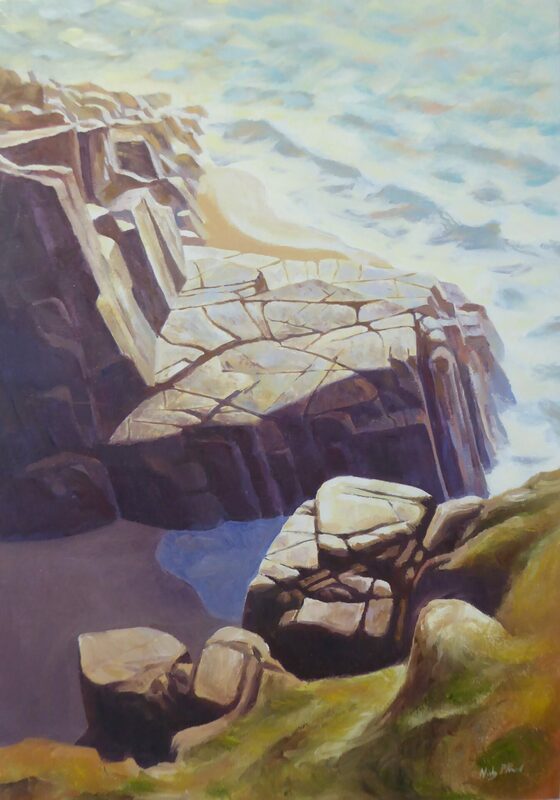 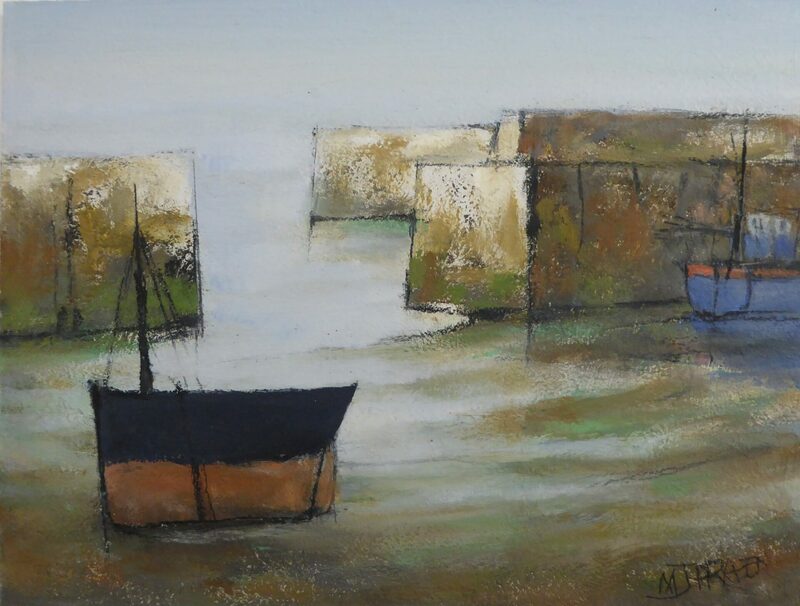 Michael Praed is one of the most well-known contemporary artists working in Cornwall. 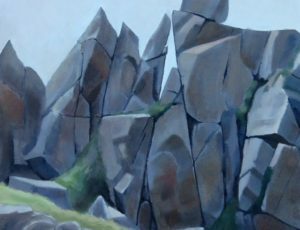  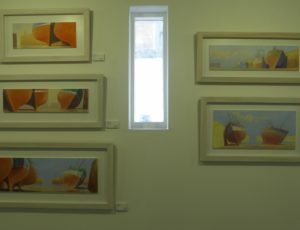 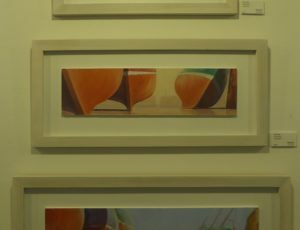 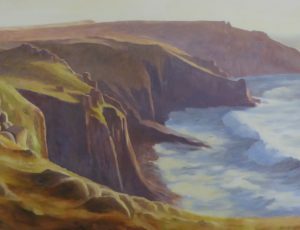 He is a prolific painter, working mainly in oils and pastels, drawing inspiration from the Cornish countryside and people. 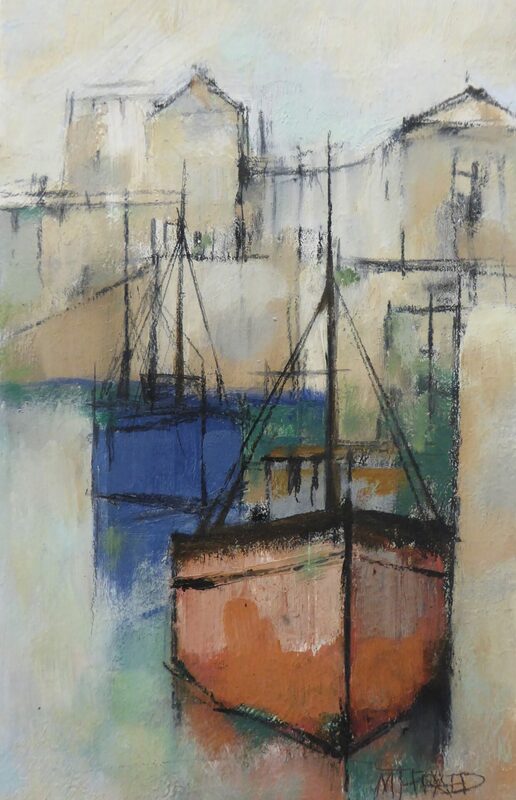 Strongly graphical, his paintings of the coastline, cliff formations, harbour walls and fishermen with their nets are instantly recognisable. 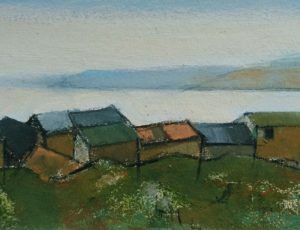 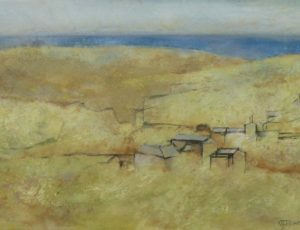 It has been said that his work is an intriguing combination of realism and abstraction, portraying the beauty of the landscape and seascape with a sense of unease in a way that no other artist has achieved: farmsteads huddle together against an unseen enemy in a landscape devoid of living things; deserted breakwaters curve pincer-like into an empty sea; engine houses rise from the ground like megaliths, as old as time. 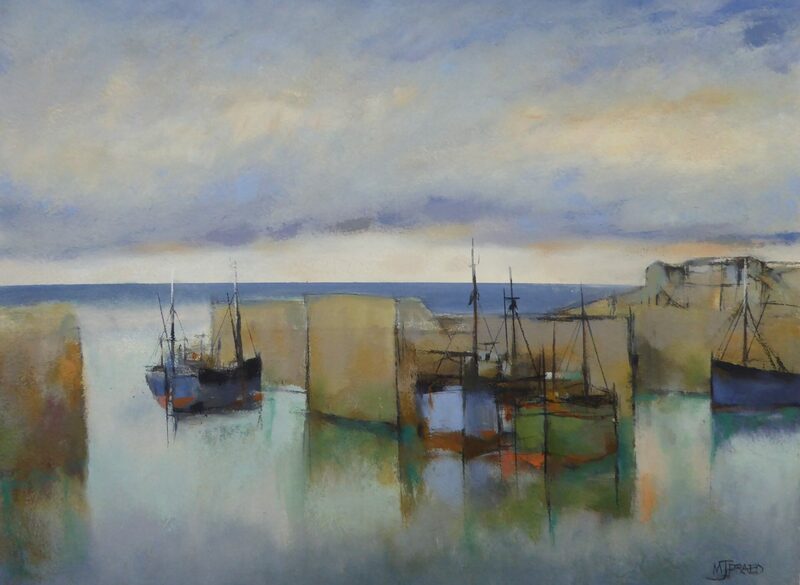 Born in 1941, from a long line of Mousehole luggermen, Michael Praed was educated at Penzance and Falmouth School of Art followed by Brighton College of Art. 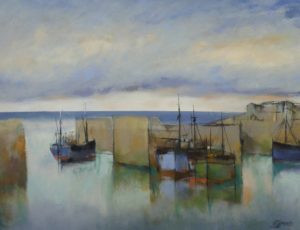 In 1967 he became a member of the Newlyn Society of Artists, and has been a member of the Penwith Society of Arts since 1972. 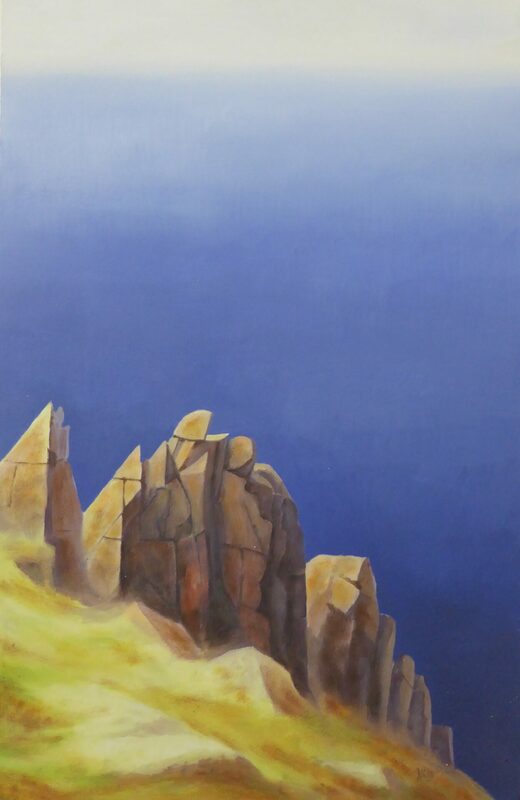 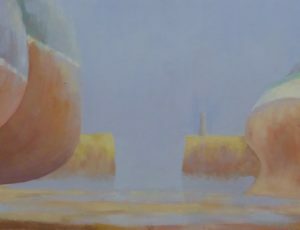 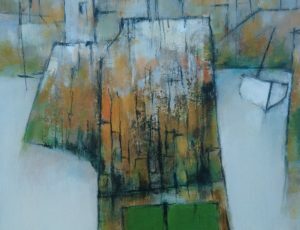 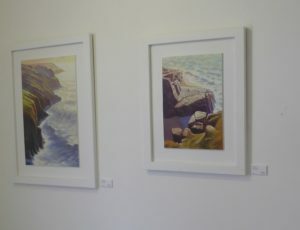 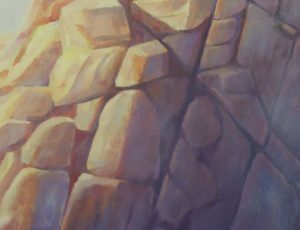 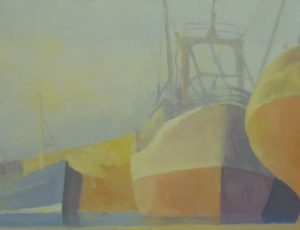 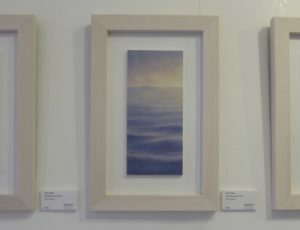 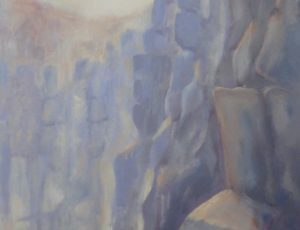 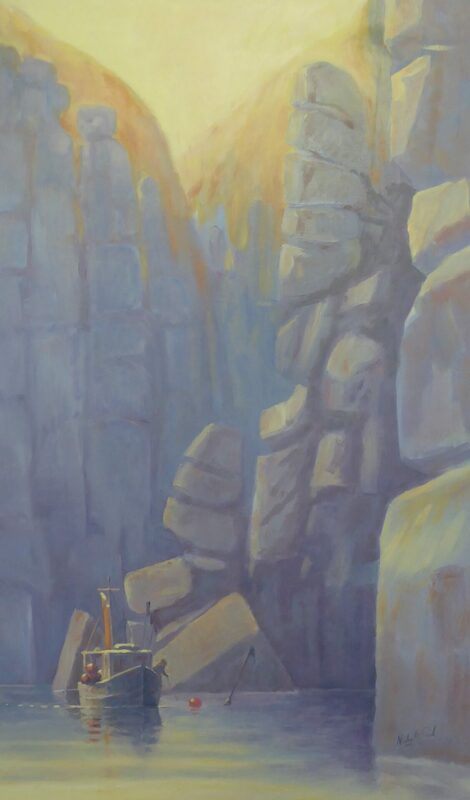 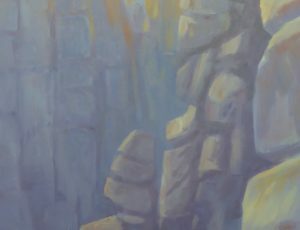 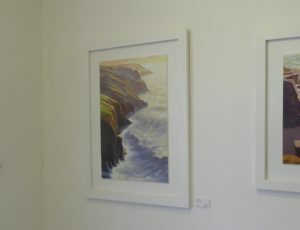 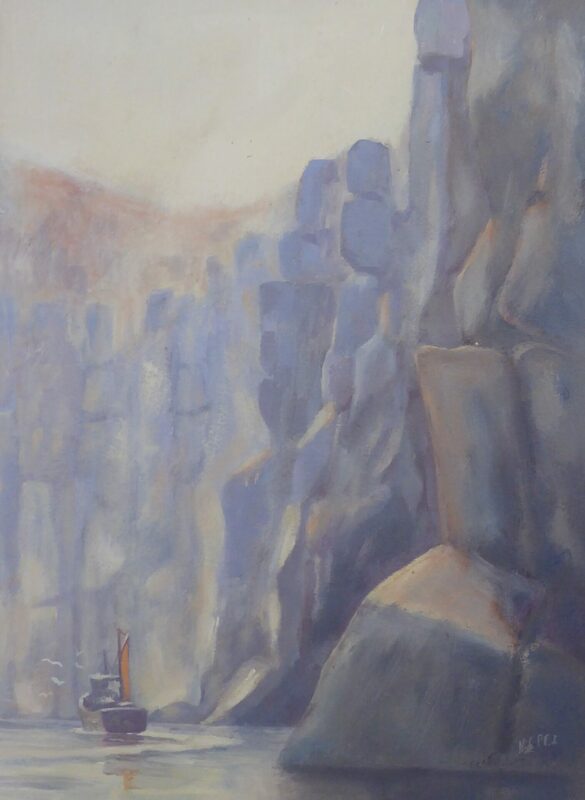 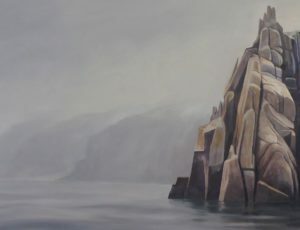 He has exhibited widely, retiring from teaching in 1993 to paint full time. 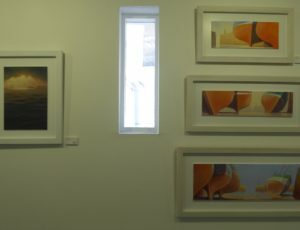 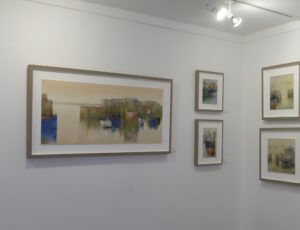 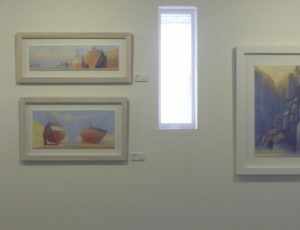 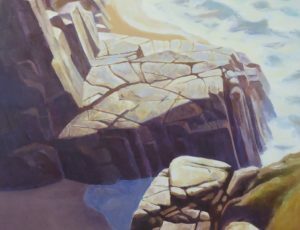 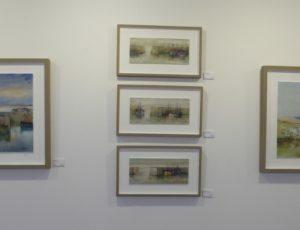 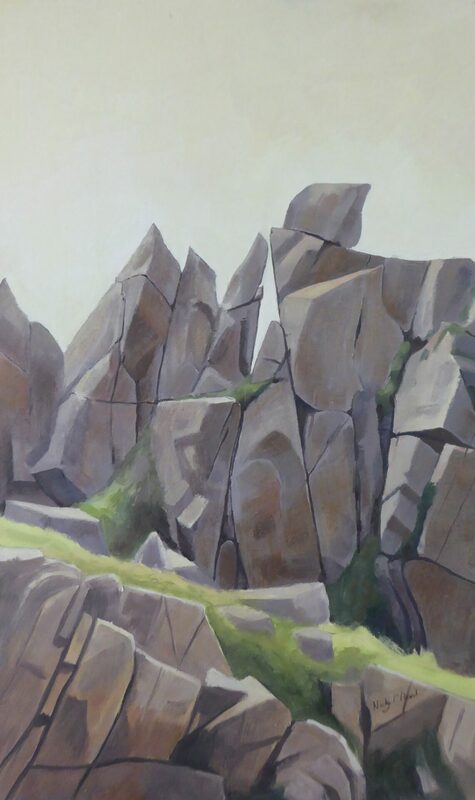 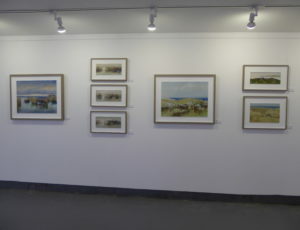 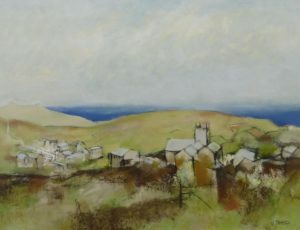 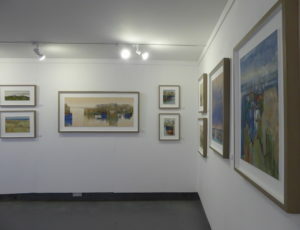 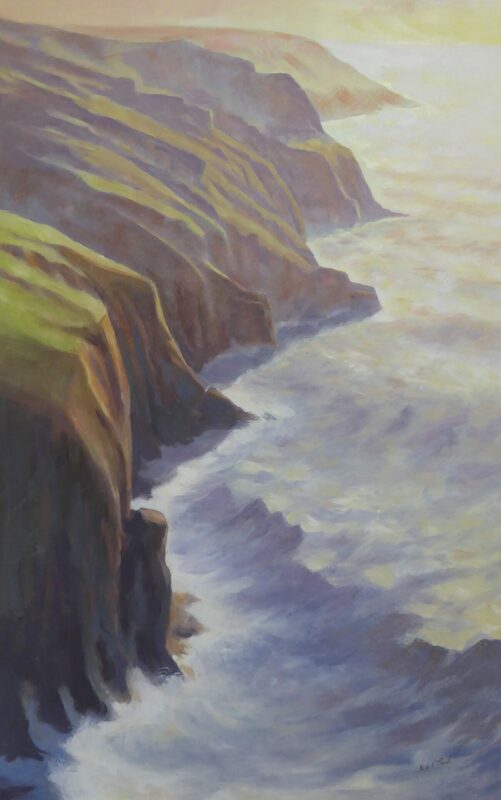 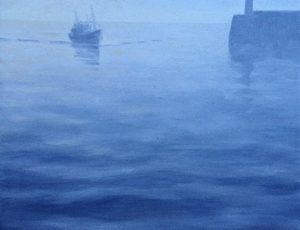 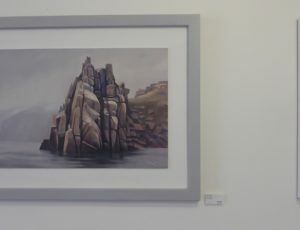 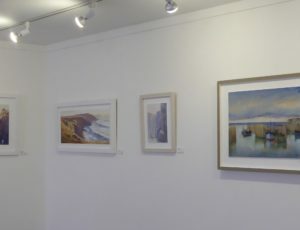 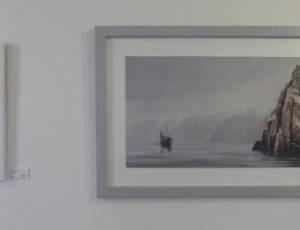 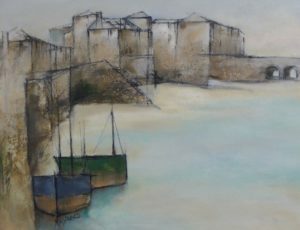 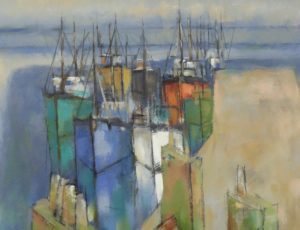 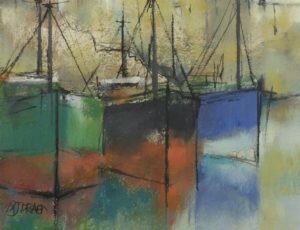 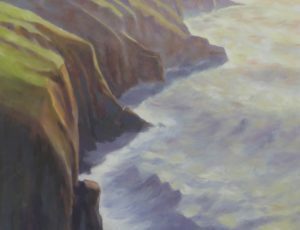 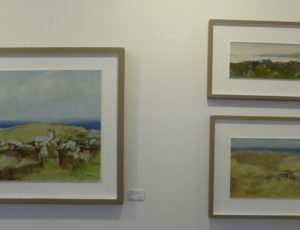 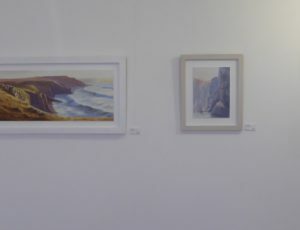 His work ranges from large paintings of sea and landscape to smaller images depicting familiar scenes of Cornishmen at work; from lonely beaches to the bustle of a fish market, but always illustrating his observational and technical skills as both a painter and draughtsman to marvellous effect. 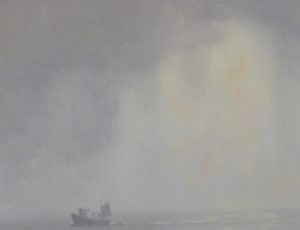 Throughout the past winter (2017/18), Michael became inspired and excited by the tremendous storms seen from his studio, as they passed over the Peninsula and out into Mount’s Bay. 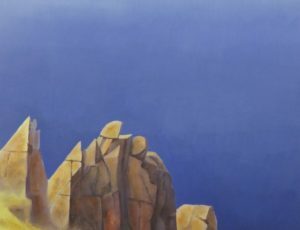 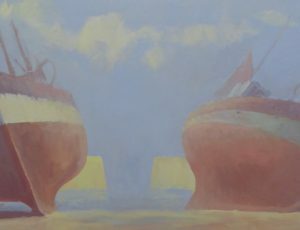 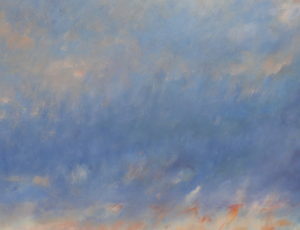 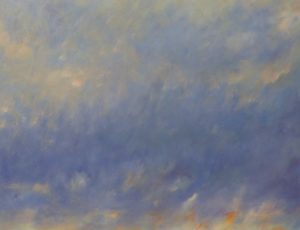 This awareness of the fleeting colour and cloud patterns has given him a new focus in his recent works. 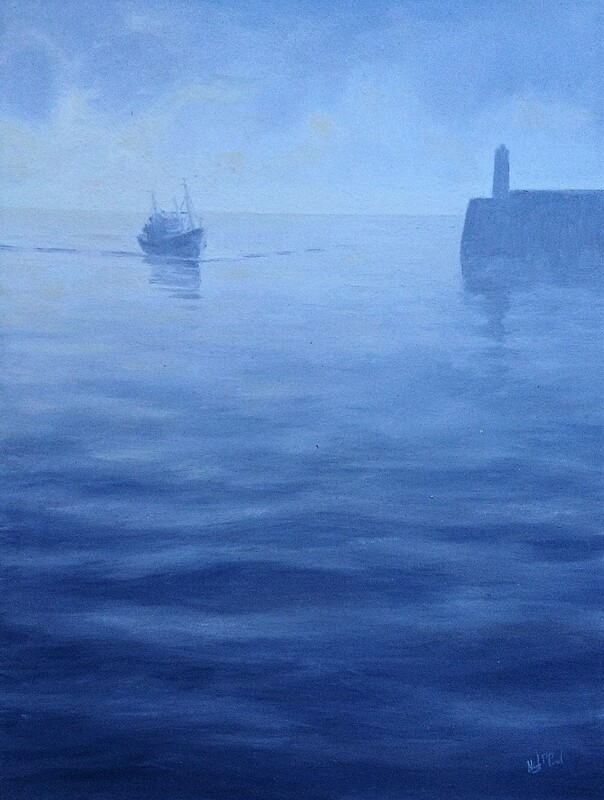 Michael’s son, Nick, was born in 1974 in the fishing town of Newlyn, and grew up around the harbour. 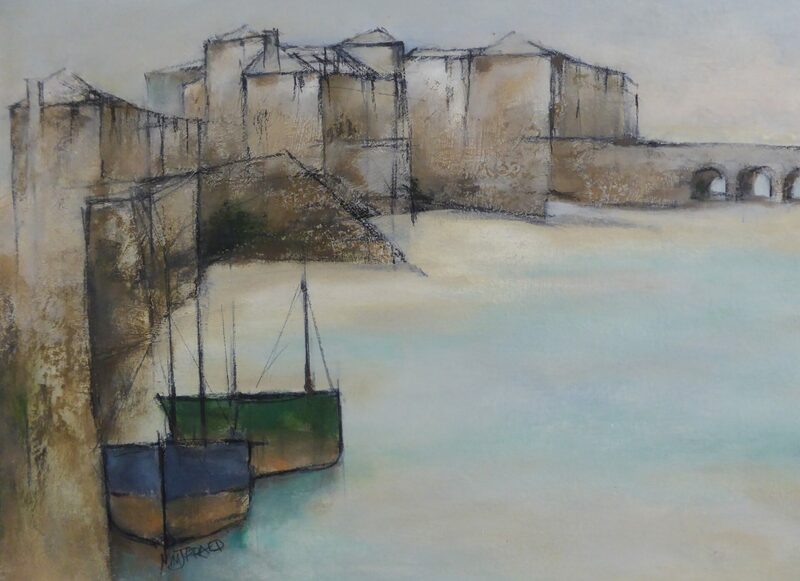 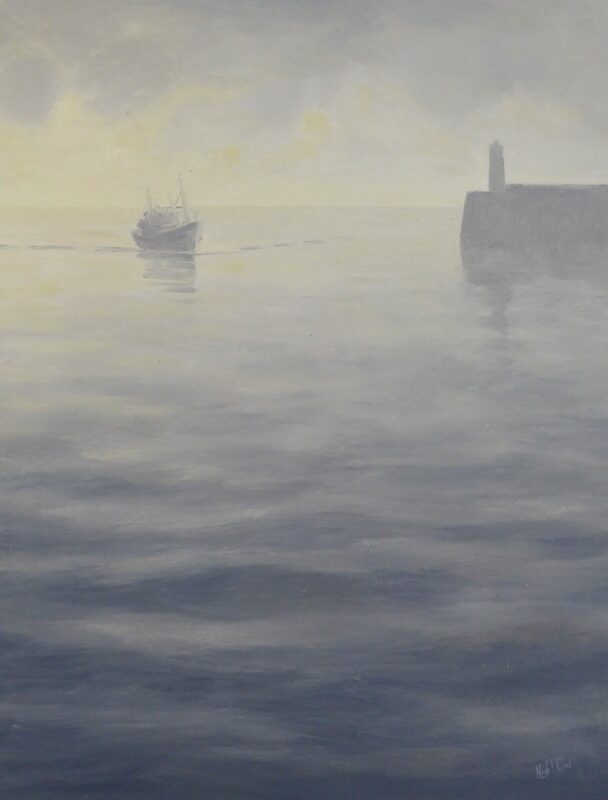 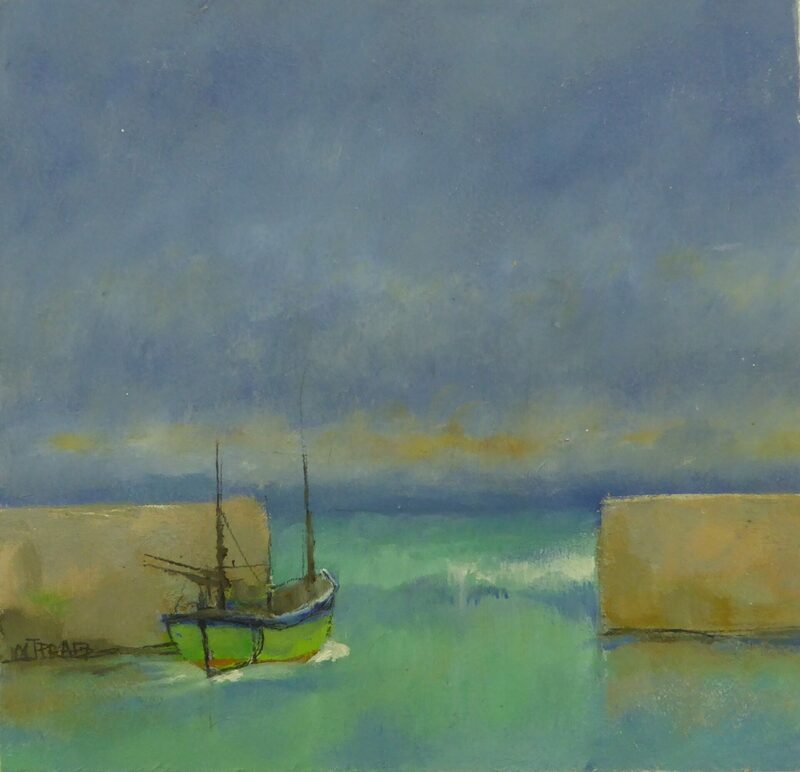 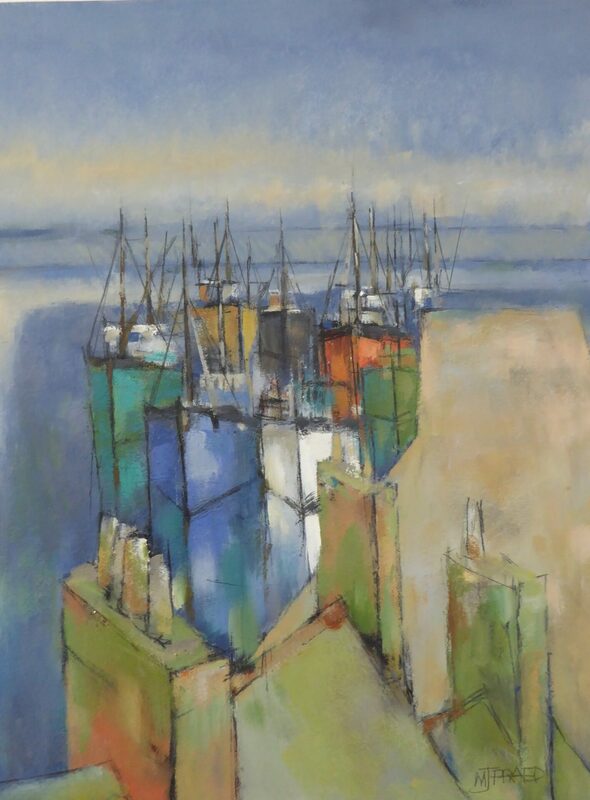 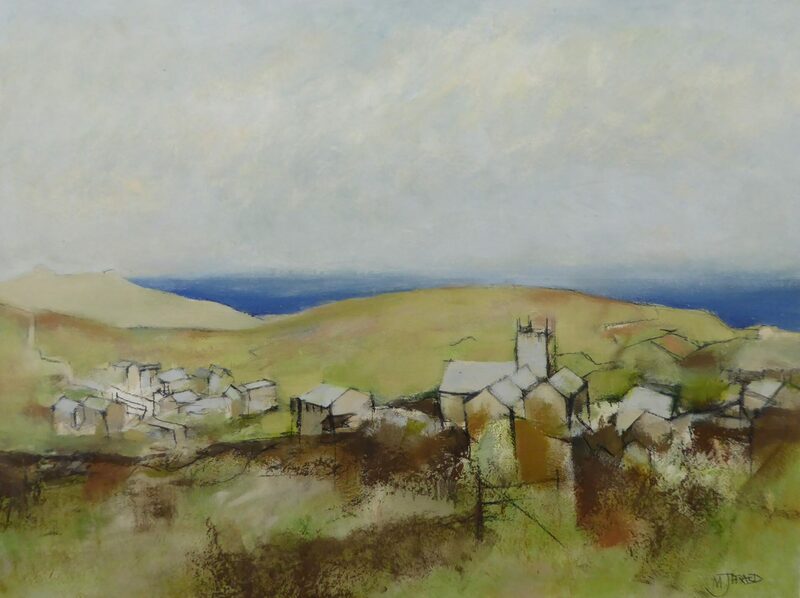 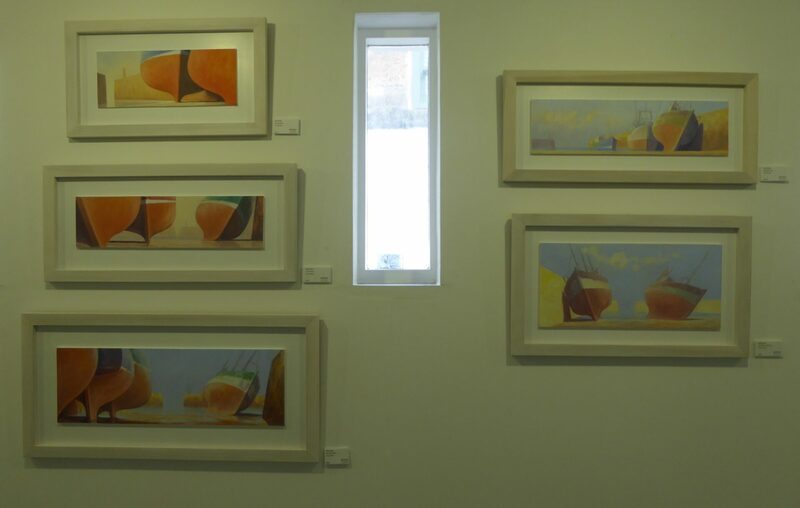 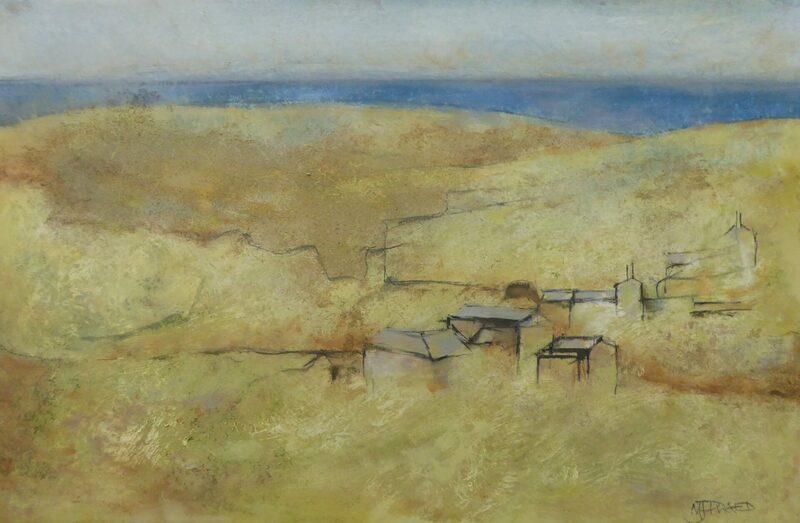 A member of the St. Ives Society of Artists, Nick has been painting ever since he can remember, having had access as a boy to his father’s studio overlooking the port of Newlyn. 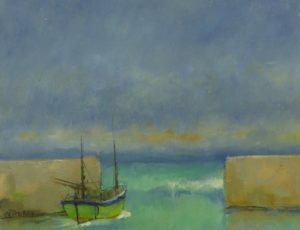 He worked on fishing boats from the age of 18, both from home and from Southern Ireland, where he lived for several years. 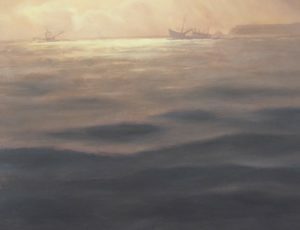 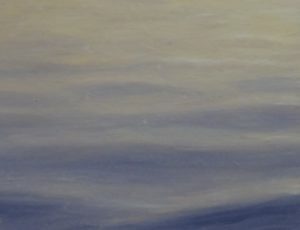 Unsurprisingly, the sea is the main inspiration for his work, in particular its constant movement and the way it reflects the light. 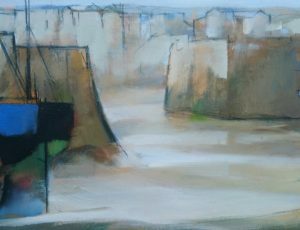 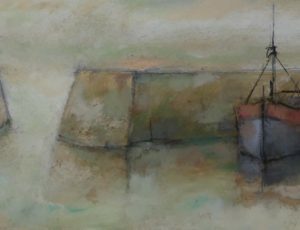 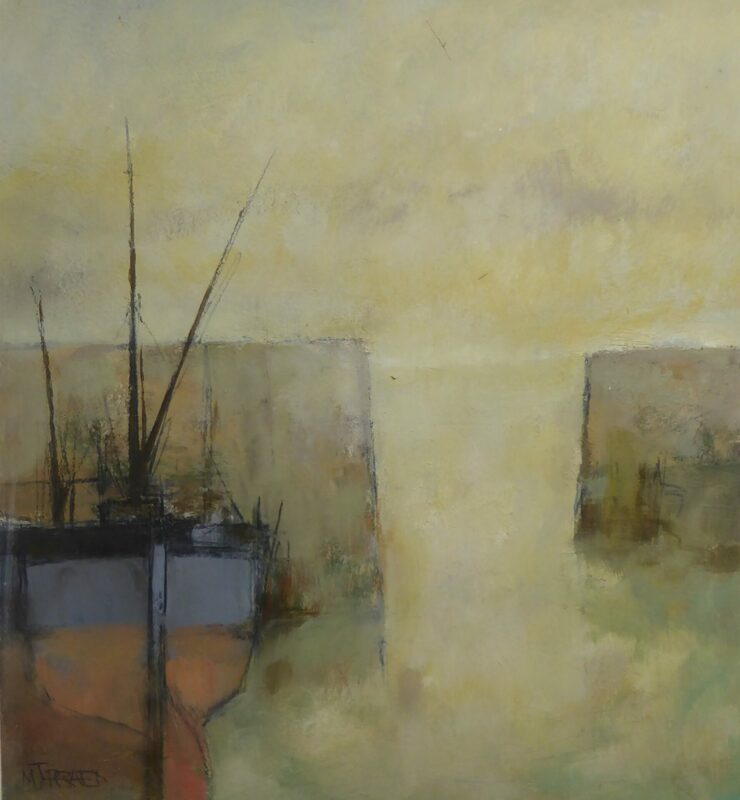 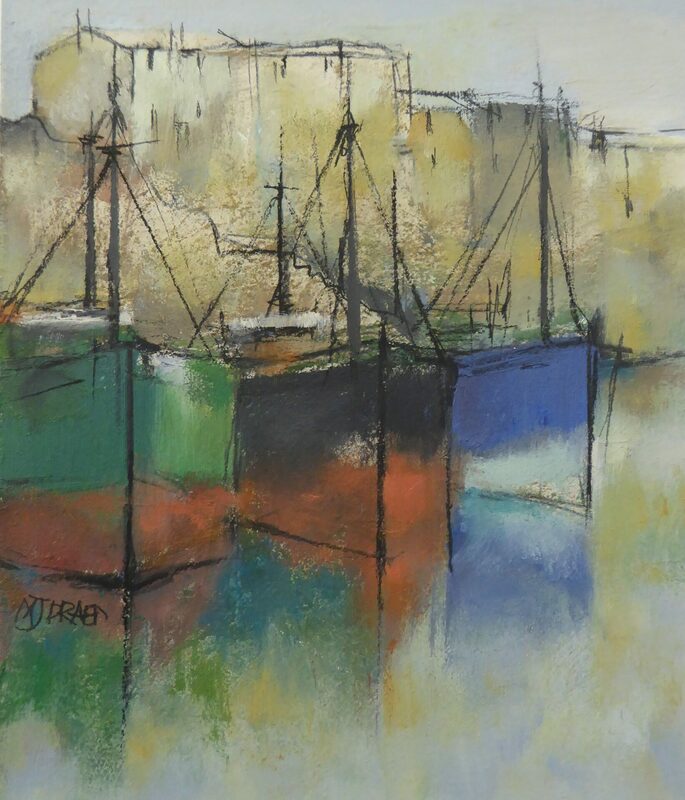  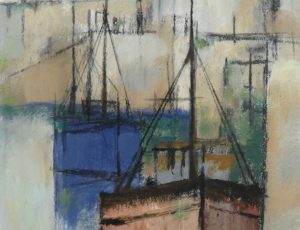 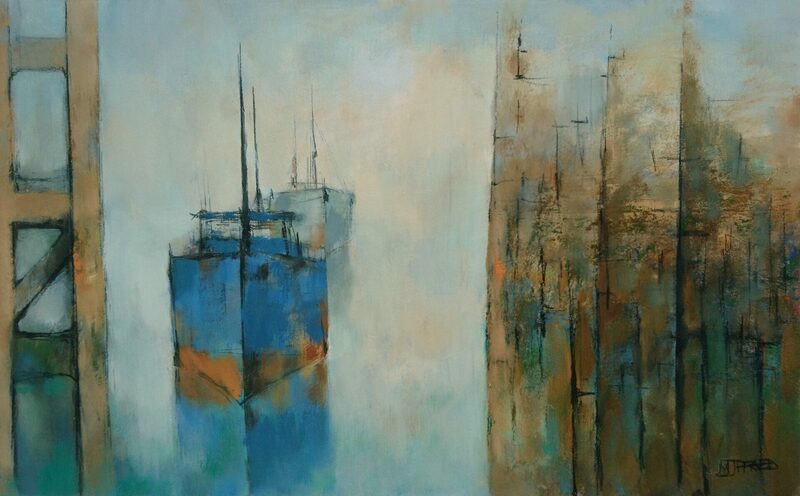 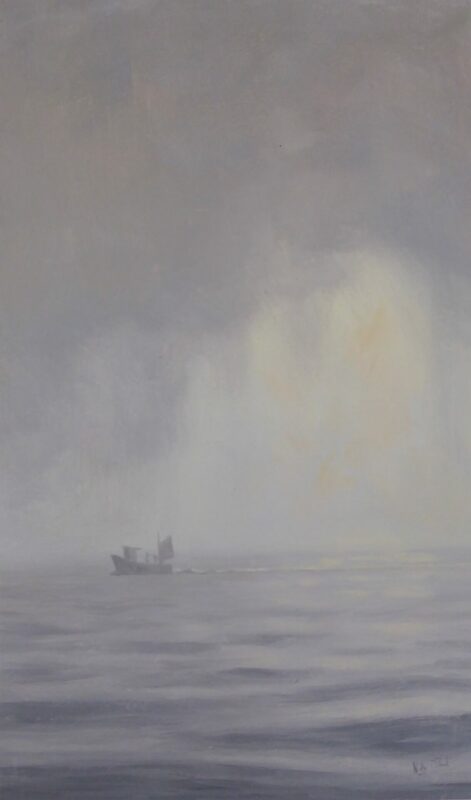 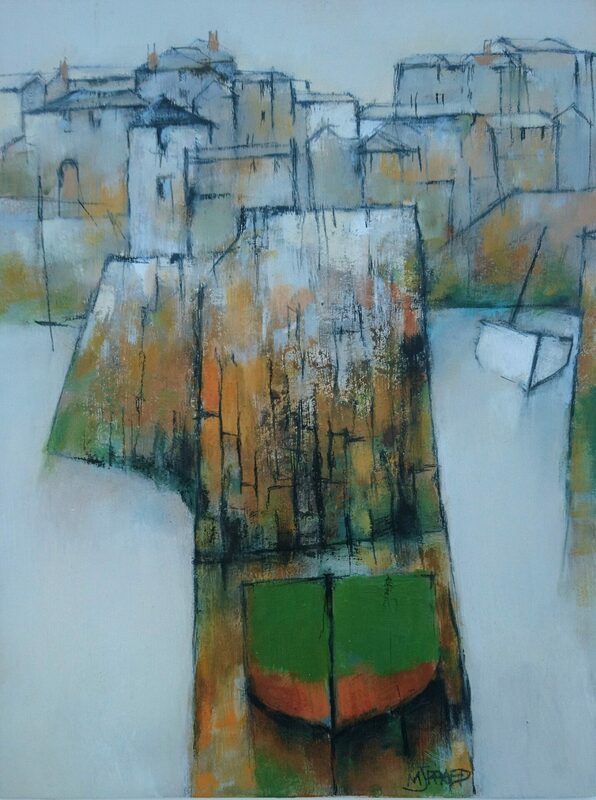 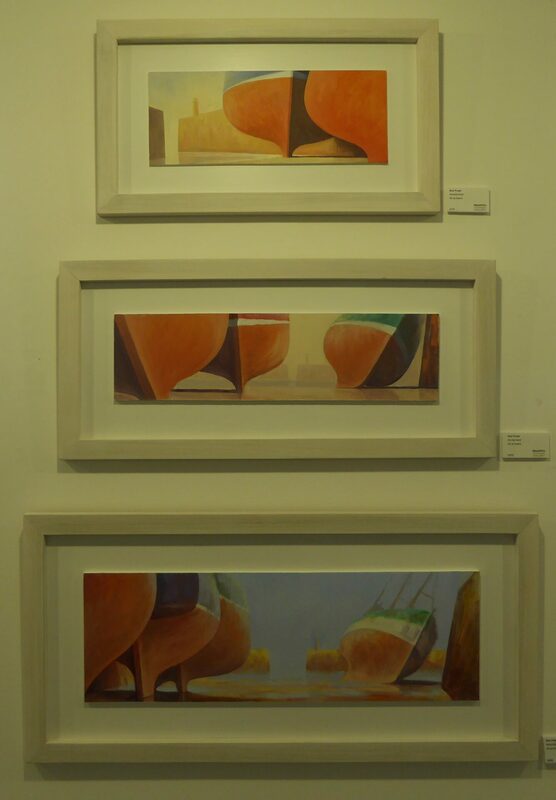 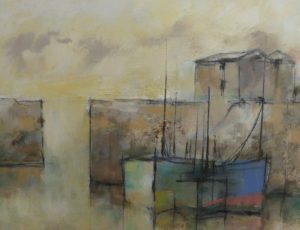 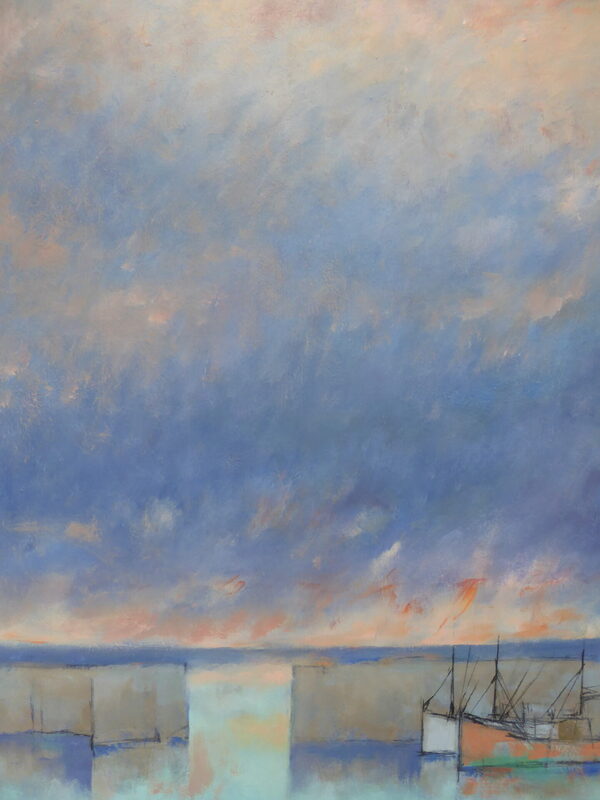 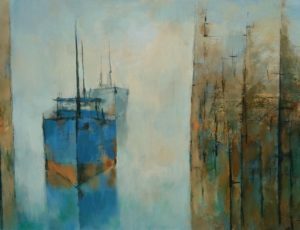 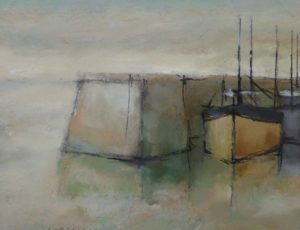 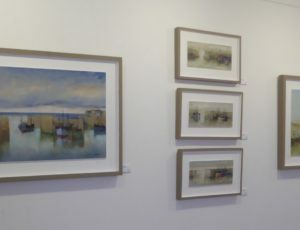 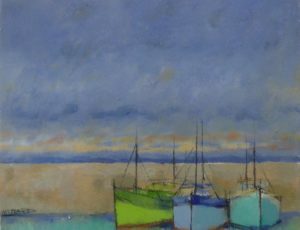 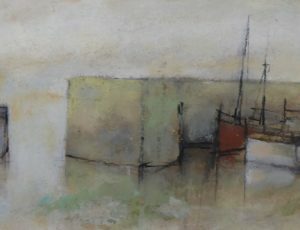 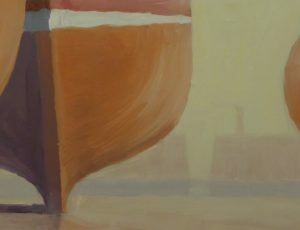 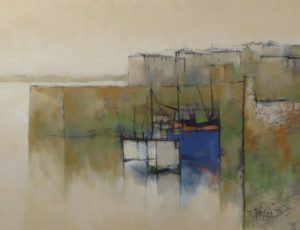 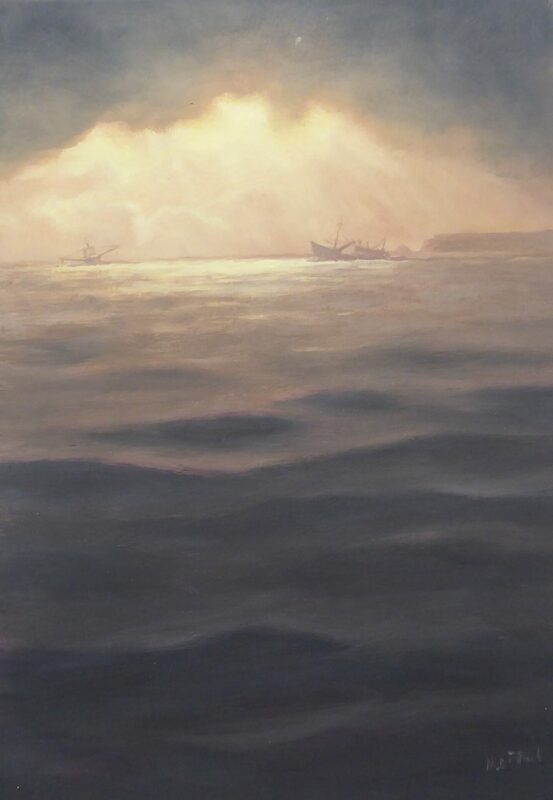 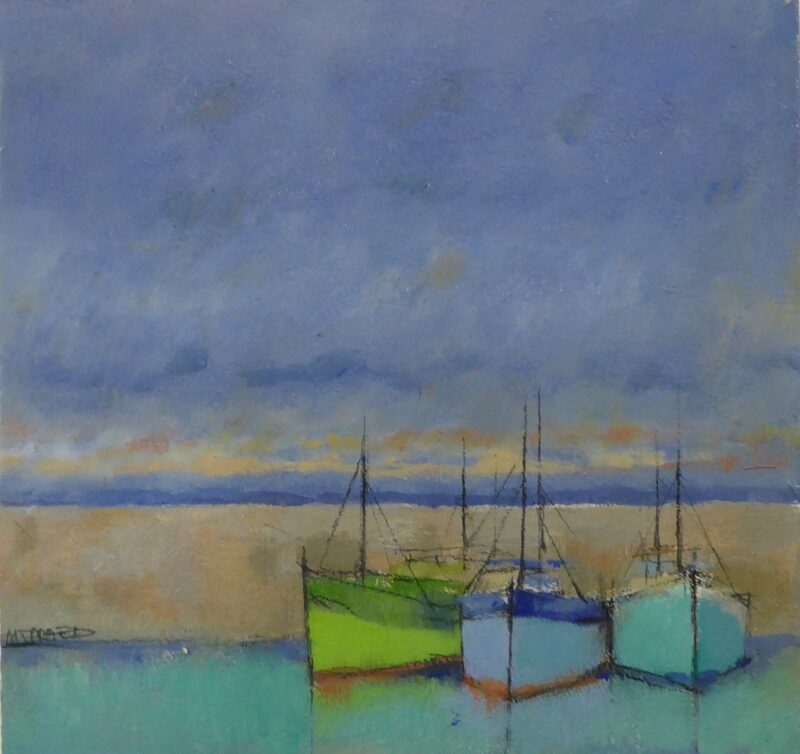 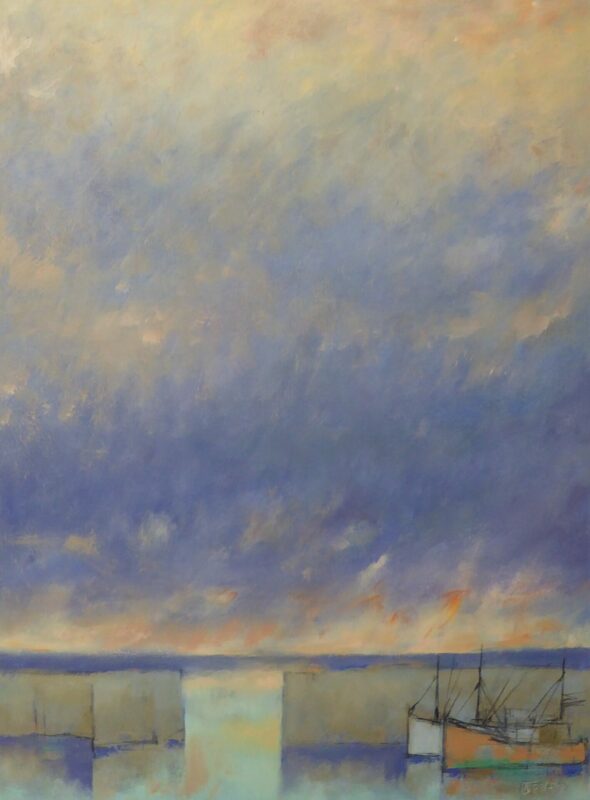 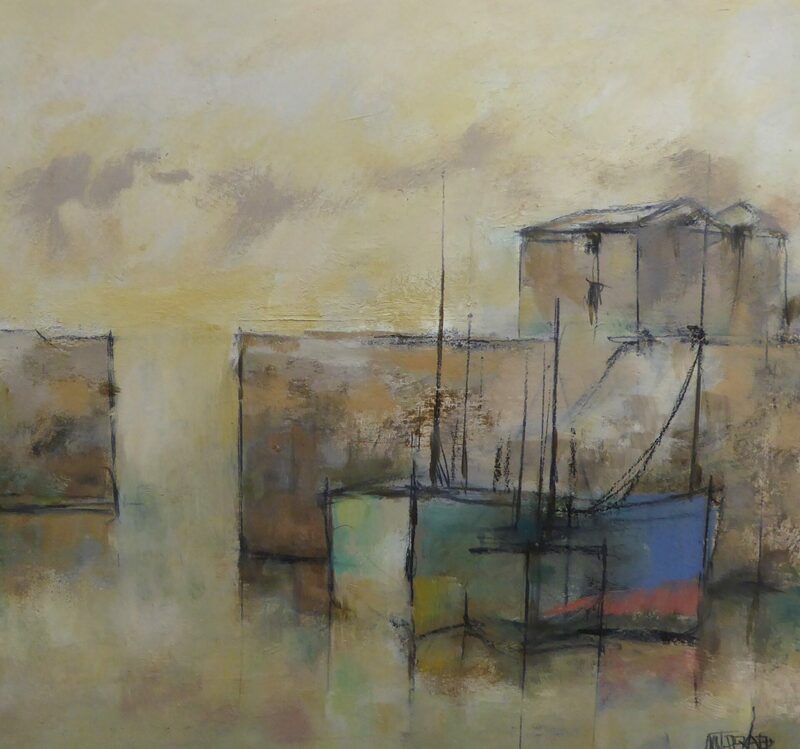 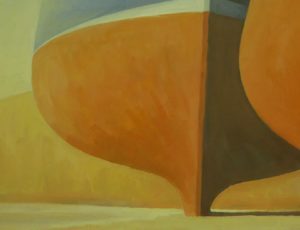 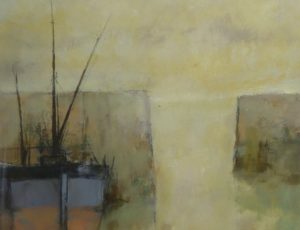 Fishing boats have frequently featured in his paintings, but recently his focus has shifted a little towards the Cornish coastline and its raw, austere beauty. 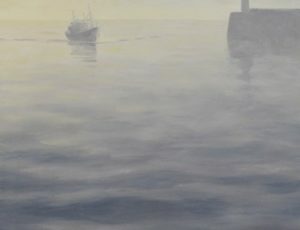 He still works at sea, skippering a small survey vessel around Europe, but occasionally he slips back aboard a trawler – just to get his hands wet.